I have received a few questions on the operation of series bulb current limiter and in this lesson I wish to shed some light on this very old gadget and yet a favorites for both engineers and technicians around the world. First let me point out that the principle used to make this gadget is very simple. In basic electronics we have a concept called Ohms law, as you can see from the formula below we can conclude that ohms law basically describe the relationship between voltage, current and resistance in an electric circuit. To understand this law let me use piped water analogy…Voltage is electric pressure just like water pressure in your tap and Current is the flow of electrons just like the flow of water from a tap and the tap can be considered as resistance. Just as you can have water pressure in the pipe but no water running at the tap when the tap is closed it is also possible to have voltage (electric pressure) and no current (flow). However you cannot have any flow without pressure. A good example is a battery sitting on a bench has voltage on its terminals but no current is flowing. With that ladies and gentlemen let me come to the main topic of the day, what is series bulb current limiter. 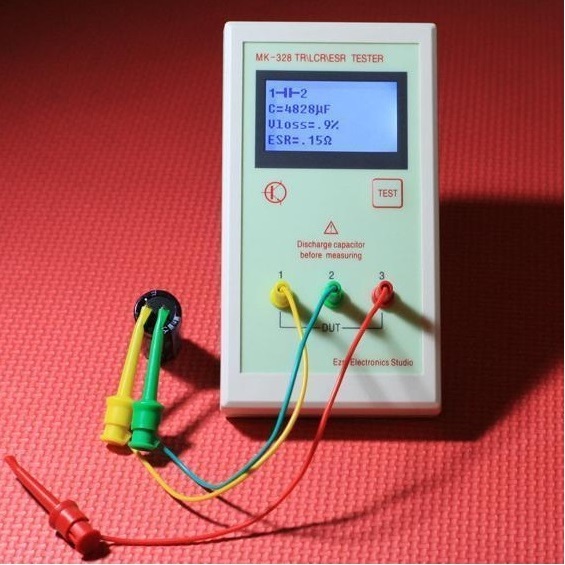 As the word implies the main purpose of this gadget is to limit current to a circuit. Suffice here to say is that current in a series circuit is same at all point but voltage is dropped across each components. 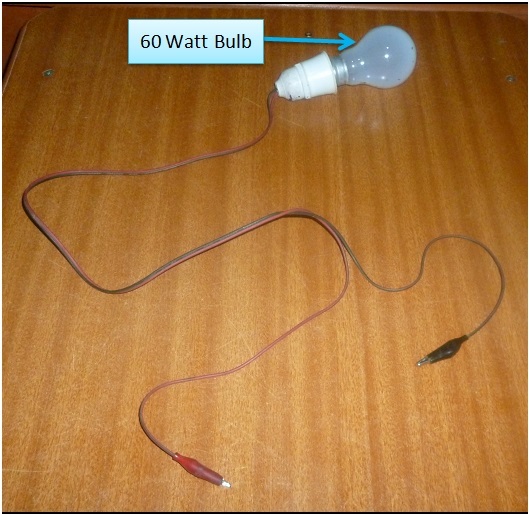 Because of this characteristics of voltage being dropped across each component is actually the reason why your electricity supply in your house is never wired in series because only one bulb is enough to drop all the voltage (240Vac or 110vac), if not so all bulb will be dim and other equipment will not even be able to power up. This disadvantage of series arrangement is also blessing in disguise for electronics technician where it is applied to make the famous series bulb current limiter. In series arrangement, components in a circuit are connected in successive order with the end of each component connected to the other end of the next component. 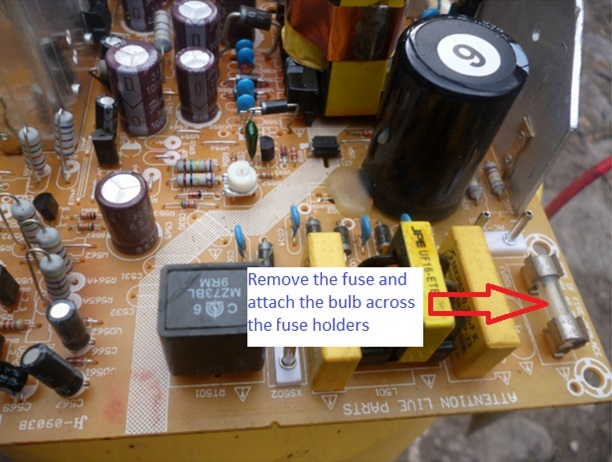 With that in mind the best place to get this arrangement in a television set is to remove the fuse (main) and attach a light bulb (60-100 watts) across the fuse holders. I have assembled my bulb with crocodile clip so that I don’t have to solder in and out the bulb to avoid wasting time as you can see below. This gadget comes in handy when you get the set in your shop and find the fuse is open and blackened inside, as you know an open and blackened fuse is a sign of heavy short in the supply and therefore it is not recommended you replace the shorted components and apply power directly because if there are still more shorted components which you may have not picked then applying power will mean instant dead to all the new component you have just replaced which will lead to more time wasting and extra expense of buying the same components you have just replaced. This should never worry you if you use the series bulb current limiter because if there is still shorted component you have not picked the bulb will drop the whole voltage and the will be very bright and therefore your new component will not be damaged. If there is no short in the supply the voltage drop will be distributed between the bulb and the equipment under test and therefore the bulb filament glow a very dull orange and this is means there is no more shorted component on the supply. This is because how tall (high) the structure will be depends on how strong (deep) the foundation is. We can use this analogy in electronics troubleshooting and repair…that being good at electronics repairs will depend on your foundation in basic electronics. The first time you open an electronics device like Television or computer monitor, one is usually intimated by the many components in there but if you have a good understanding on basic electronics you will notice that these are usually common components and therefore no need to panic. In this regard I have written a book on basic electronics and from statistic customers who buy this book and other books hardly come back to for support due solid foundation found in this book. 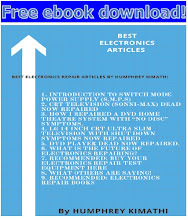 In the book I have covered common components used in consumer electronics equipment like Television, DVDs, Power supplies, LCD monitors…after reading the book you will be able to identify the component using actual picture, symbol used to represent them on the circuit board, purposes it serves on the circuit, common failure modes and how to test if it is good or bad. Get your copy of basic electronics here today. Mr Anyigor Dominic from Nigeria after buying my basic electronics course ebook. The secret of electronics is basic electronics and many techs miss on this. I am glad you have known the secret...I will definitely be looking for you at the top. Mario Bennett from Belize has this to say. I have purchased this eBook from you and have found it quite interested. So far I have repaired a Memorex DVD with the help of the book, although I have had problems removing some parts, for this reason I would like your advice to know what soldering iron to use to remove the parts from the board. I am using a 25watts iron and de-soldering pump to remove the parts but it is rather hard, the solder do not want to come off completely. I don’t know if it is the type of solder on the board. Thanks for your feedback on my DVD player repair guide. Regarding soldering and De-soldering the components I think 25Watt is ok for the job. Just be sure to apply enough heat and use the pump when the solder is very hot and flow easily...you can also Google from the internet on good soldering and De-soldering methods. John from Dominica has this to say. 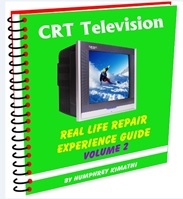 I must say thanks for your eBook on repairing CRT TV.I bought your book through my niece and I have read it a few times. great easy to understand info. I have spent the last couple days just reading your blog. I find the info very interesting. I will continue to read when I can. I have always wanted to repair TVs but didn’t understand it well enough to do so. After reading your book it has become so easy that I'm presently working on two. Thanks again for the tremendous knowledge you impart through this book. Thank you for your feedback and glad to hear from you John, you are most welcome to my blog. 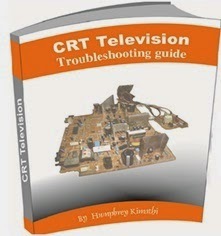 I have also launched another eBook on basic electronics and it can supplement well the CRT TV because I explain every component found in CRT TV and many others in detail. Ihv been reading ur blog n im impress bt wht i c in ur blog. Telling me dat u hv a vast knowledge n experience whn come to repairing. As they cy knowledge tells one wht to done n wereas skills tells one hw to do it. N u Mr Mndaka u conduct both. Yes im still new in dis field hence i want to b more hands on from now. I ws hoping n wishing if u can b my mentor cos im walking on my knees. Will apreciate dat thou i knw u r a bussiness n also busy. 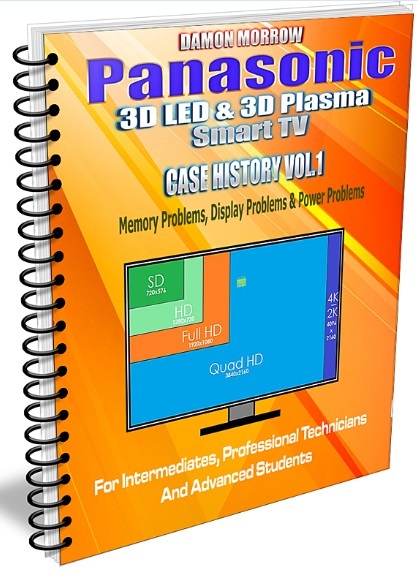 Abt de book Crt book im still going to purchase it thou many ppl recently they r buying Plasma. Last bt not least can u recommend some books you think can b useful to me. Lyk trouble shooting SMPS, PLASMA N LCD TV. EVEN LED TV. Thanks for your email & glad to meet you. Usually I give support to buying customers. 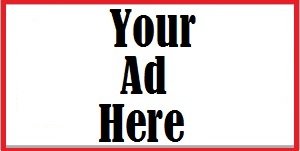 Regarding other books I promote on my blog are the ones I found useful to technician. 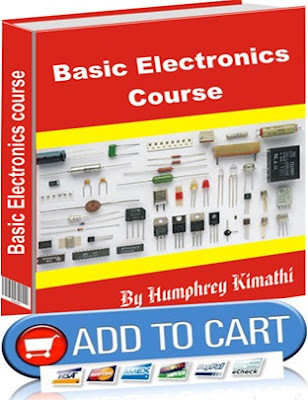 If you are newbie in electronics I suggest you start with basic electronic book. Find another version of series bulb current limiter here which you can use to plug the set directly. Dear Humphrey, I am so delighted to read another article from you. Your blog has become one of the most useful sites of study around the world especially in the field of electronics repair. 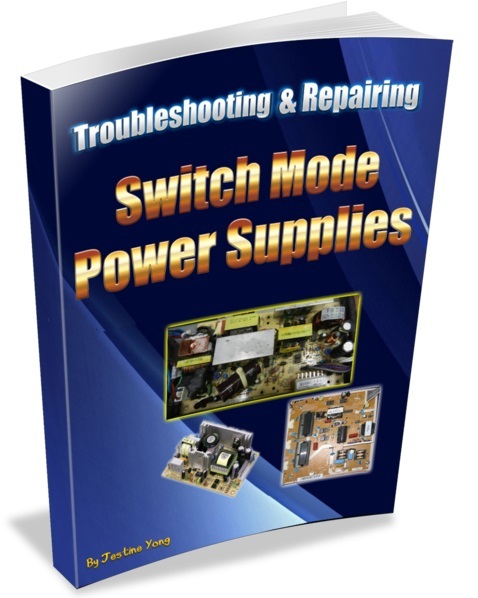 I want to encourage my fellow repair technicians to buy all the ebooks of Humphrey as I have done, first I want to say that he has a unique style of presenting difficult electronics concepts in a simple way. In his book basics electronics book, Humphrey describes the components one by one showing both a color photos and schematic symbol of the component on board, what the component does, signs of damaged components, effect when open and effects when shorted, how to test the component and the best equipment for testing. I found His books to be so resourceful. Thanks Humphrey for your contribution in making our businesses better through your well elaborated study materials. I believe many of you guys out there can agree that most of the electronics books out there have so explanations on the chemical and physical make up of components and so much theory which in actual fact can not really guide you on the repair of the equipment which the client will require of you. Thanks Humphrey and am looking forward to read another book from you especially on LCD and LED TV. God bless you. Thanks for your feedback Moses, from my record I have confirmed you have indeed bought all my books, Thanks for you continued confidence in my work. Regarding LCD and LED TVs repair courses once again you are spot on, the tread here is Kenya is changing at very high speed and the market is tilting towards same. On that regard I am currently burning the midnight oil doing research on them.